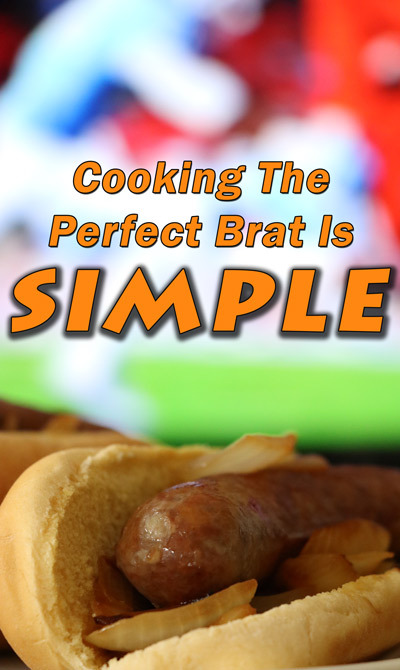 Grilling The Perfect Brat In Less Than 10 min Is Easy! 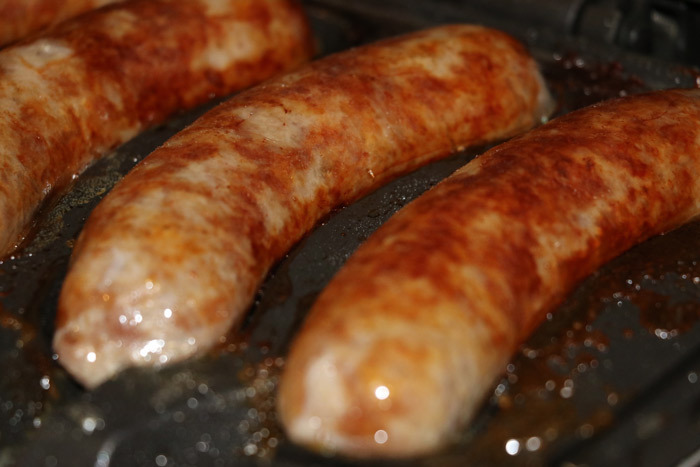 There are only a few things in life that are as delicious as a perfectly cooked brat. I think part of that is the process that goes into preparing the meat - after all, this isn't just some hotdog ... it's a brat! Unfortunately, that takes both time and concentration as well as patience. While that's OK when you are tailgating and have hours before the game starts, it isn't always possible when you just want to have a few guys over and watch the game. For me, I'd rather spend time watching football than tending the grill outside looking in on the game through the window. 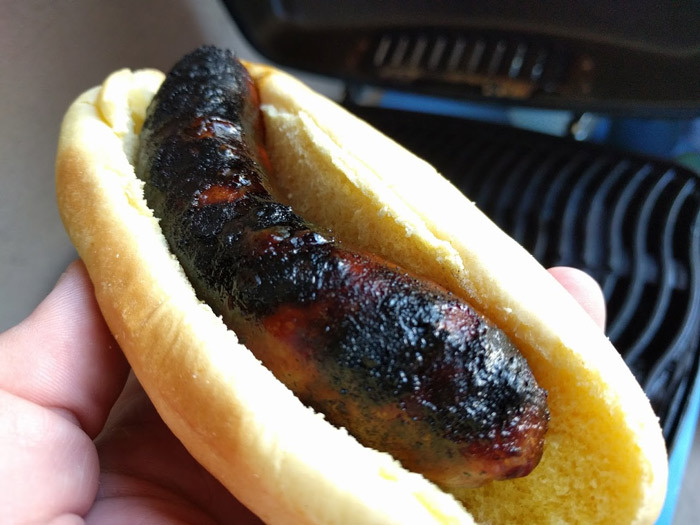 I have a great portable gas grill that I use, but when cooking brats it isn't the ideal method since the sausages turn out like what you see above. 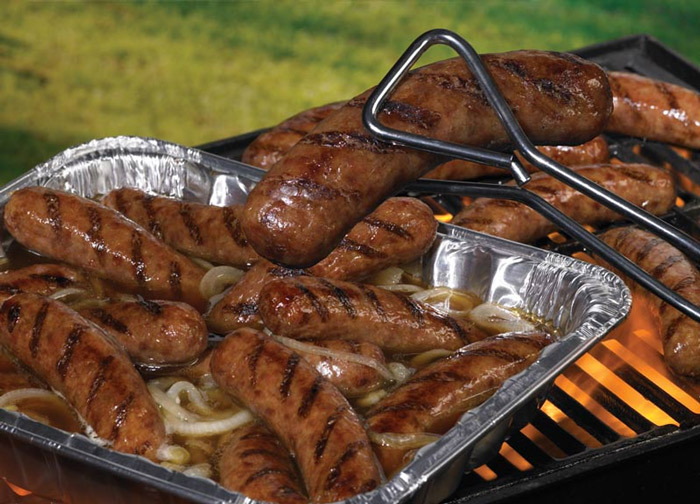 For tailgating the ideal solution is to grill them gently on a charcoal grill followed by a soak in a "Brat Hot Tub" with onions and your favorite beer. This helps keep them moist but also allows them to continue cooking gently without charring the outside. But now there is a new solution! 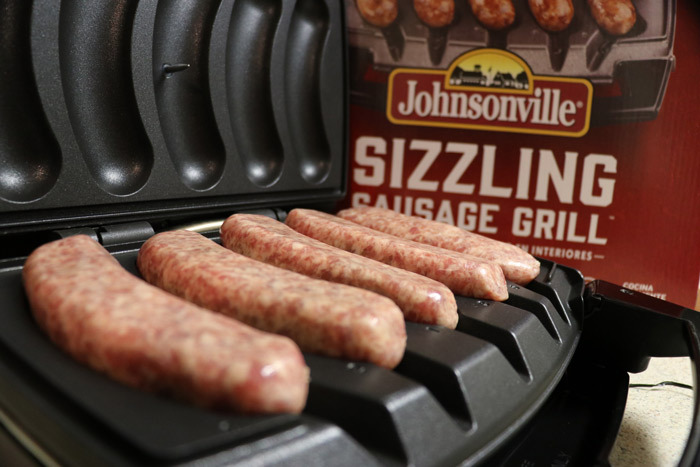 The Johnsonville Sizzling Sausage Grill makes grilling brats easy. Simply lay the sausages in the perfectly sized divots and close the lid. That probe you see will do all the work. After a few minutes, the grill will beep four times and turn itself off when the meat has reached the perfect temperature. Honestly, I was a bit surprised because nothing ever works as good as it sounds, but these brats were perfectly cooked. Not only were they exactly right inside, they are simply beautiful on the outside so that they have just the right snap without any of the char you can get by over grilling it. For those of you who think "oh I've got a sandwich maker that can do the same thing ... think again, that traditional press grill will smash the sausages squeezing all the delicious juice out and probably burn the top and bottom without fully cooking the middle. Step one: Buy a Johnsonville Sizzling Sausage Maker. Step three: Place the brats in the grill. Step four: Grill some onions. Step five: Place the sausages in a brat roll on top of a bed of grilled onions. Aside from your trip to the store, the whole process will take less than 10 minutes and you'll be able to spend more time watching the game and cheering on your favorite team! In addition to the perfect look and taste, the grill is extremely portable and easy to clean so it's perfect for a mancave or even bringing with you to a friend's house should you watch the game there. Are you ready to take your brats to the next level? 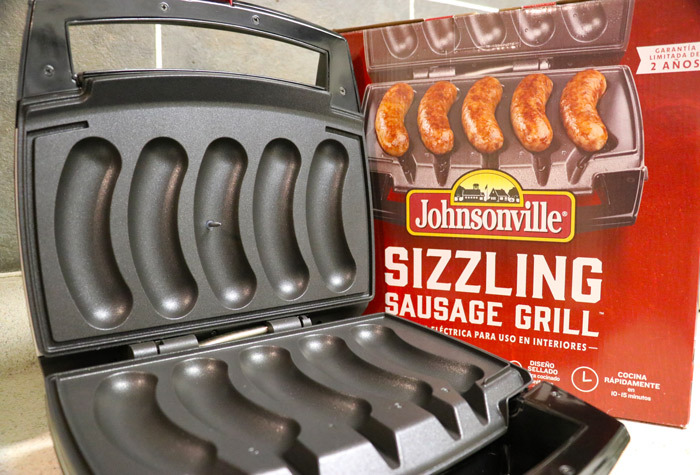 We've got a promo coupon code for $20 off when you buy your very own Johnsonville Sizzling Sausage Grill. Just use code: "sizzle2" at checkout. When I'm Hungry Bars Recipe - Because God Knows I Need it Sometimes!